Jay Arner and Jessica Delisle are the duo behind ENERGY SLIME. Their new 7″ covers a vast mix of sounds in a brief sample of time, bringing to life a technicolor sisterworld of squishy synth pop. Mint Records in Vancouver releases New Dinensional on November 11th, crammed with 10 tracks of warm and layered electro-space pop that range from 34 seconds to almost two minutes. The end result is a near-13 minute voyage through the cosmos, where you’ll encounter shape-shifting backgrounds, dance-worthy drum kicks and heavily reverberated, gospel-like vocals. If you’ve been partial to the sounds of Gap Dream, Part Time, or Tearjerker, this record is going to appeal to your senses – with the right ears, you may even catch a nod to Syd Barrett in there (“Mother Brother Sister Father”). The single is arguably lined with highlights, but some songs still stand out over the rest. 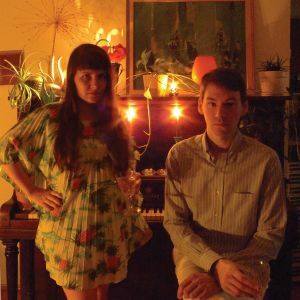 “Cool Ship II” features the bright vocals of Delisle, wavered and bent through a thick and vaporous atmosphere of glowing synths. It’s a bouncy little anthem that keeps the head bobbing, rife with colorful electronics for a blast of refreshing space pop. “Trial of the Mind” unfolds with a hazy-eyed guitar hook, layered with a warbled background that swallows the guitar whole. Arner soars above the clouds with his nasally vocals, providing a completely opposite vibe to his dark deadpan doctor delivery in “Why U Wanna.” They wrap it up with “So Long Snakes,” a perfect encapsulation of the material from this 7″ – electronically dominated, washed in reverb and generally uplifting. Listen to “Star on the Ground” below and go pre-order the 7″ from Mint Records now! BUY the 7″ from Mint Records – released on November 11th ! 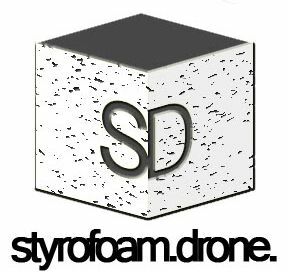 Posted on October 21, 2014 by styrofoamdronePosted in 7", Reviews, Still Spinnin'Tagged 2014, electronic, Energy Slime, Mint Records, New Dimensional 7", space rock, synth pop.